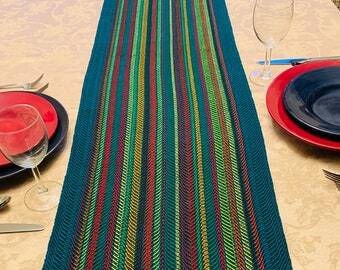 Family heirlooms handwoven for you and your home! 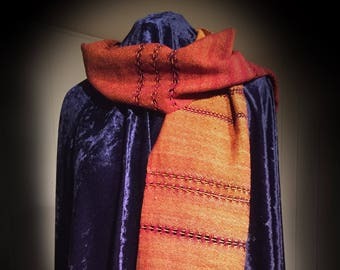 Announcement Welcome to my shop--the home of many fine hand woven items made on my looms. I've worked with yarn and fiber crafts ever since a small child and have always been drawn back to it. 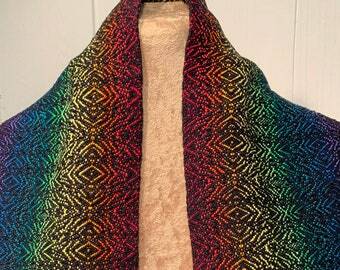 Now I have found weaving and it is letting me explore my passion for soft, snuggly and colorful creations while allowing me to experiment with my own designs. All of the items in the shop and handmade by myself in my pet-friendly, smoke free home. None of the items ever come in contact with my pets, however. They watch but never touch! 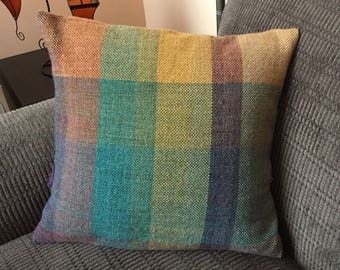 I create my own patterns, sometimes based upon inspiration from other weavers and sometimes just things that come to me. I do learn techniques from other more experienced weavers, but I do not copy their work. I never duplicate a design and will not reproduce one exactly. Repetition is not my thing. I will re-use colors and ideas, but no two items will ever be exactly alike. Look around and if you have any questions, just let me know. 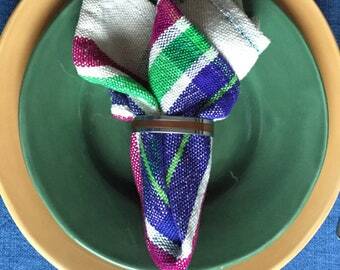 Welcome to my shop--the home of many fine hand woven items made on my looms. 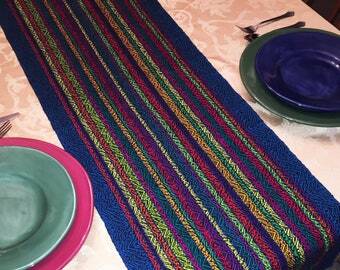 Fun set of handwoven napkins that were really well made and showed good attention to detail! Items shipped quickly and there was good communication. This is absolutely gorgeous and exactly as pictured. It arrived very quickly. New in my shop. 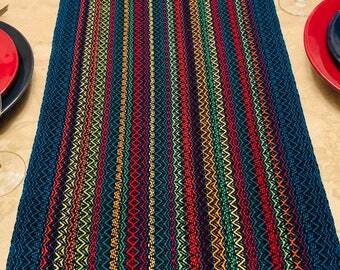 This table runner will look amazing on your table for a festive party or just everyday elegance! 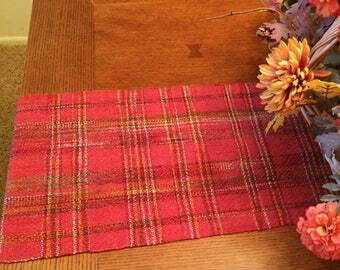 Pumpkin spice table runner now in my shop. Perfect for holiday entertaining. Handwoven in a rich, luxurious merino wool. My entire process begins with winding a warp. These will be the threads into which I will be weaving my design. The warp is spread through the raddle and then wound onto the loom. Each thread must be put through the correct heddle to produce the pattern needed for the woven fabric. One the threads are in the heddles, the are sleyed through the reed. Almost ready to weave. Once the warp is secured and the tension is even, weaving can begin to create the fabric. This is a scarf being woven. Thank you so much for visiting my shop. I really appreciate your business and will do everything I can to ensure you have a great buying experience. If you have any questions or requests, please feel free to Convo me. I want you to be happy with your purchases. If you are not satisfied with your purchase for any reason, please let me know and we'll work out a return with refund or an exchange for another item. I want to make sure you are happy and will do everything I can to make that happen. I accept payments through PayPal and Etsy Payments. All prices are in US Dollars. Currently I'm offering free shipping on all of my items in the shop. Woven items are shipped in bubble wrap envelopes and packaged to ensure safe transport. Felted sculptures and other items are boxed and packed to ensure they are not harmed during transport. All sizes are approximate and every attempt has been made to accurately represent the items shown. Due to the wide array of color monitors and devices viewing the items, some color variations may occur. I have made every effort to ensure the colors in the pictures are as close to the actual item as possible. Your privacy is important to me as is compliance with the GDPR. I do not store any personal information beyond the shipping receipts for your transaction and the tracking information to ensure you receive your package.